First things first, I absolutely LOVE being a boy mama. Like love it 100 times more than I ever thought I could. One of the fun parts of being a mom to a rambunctious little boy is dressing him up! 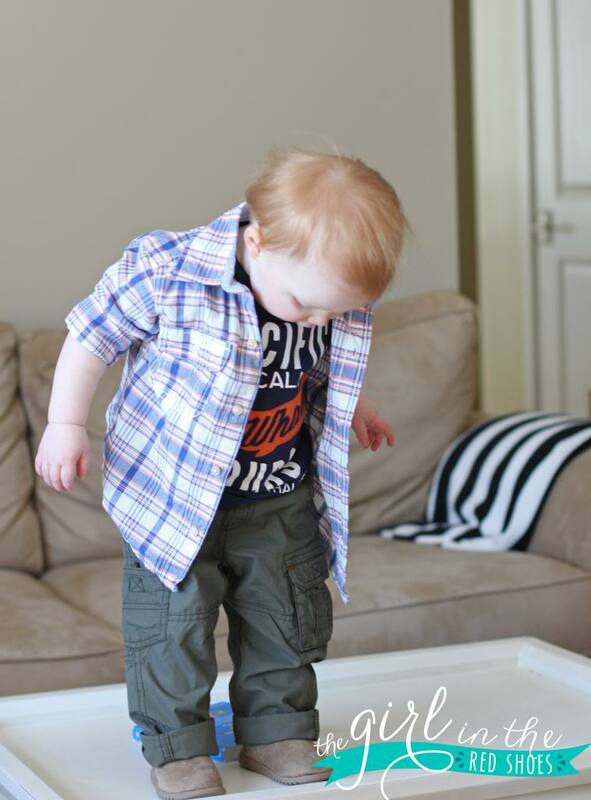 I’m super lucky that Hudson seems to love clothes and trying on outfits….especially shoes! 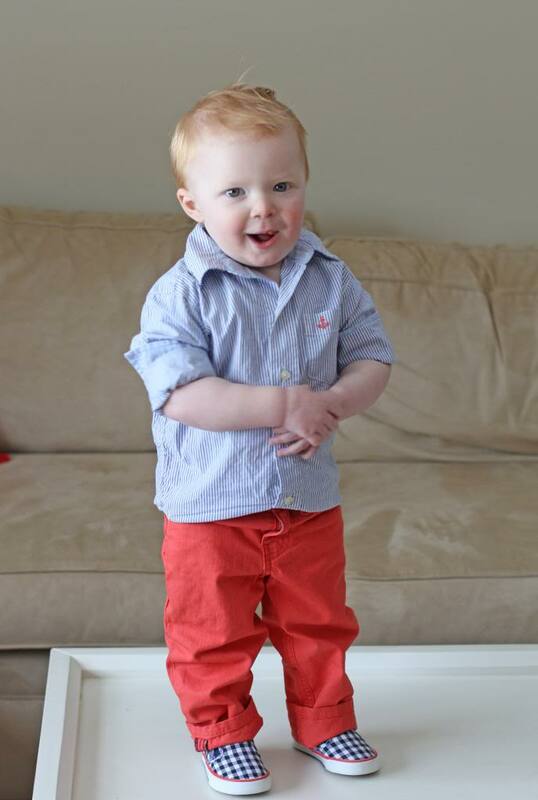 We recently stopped by one of my favorite places to find cute and durable boy clothes….Carter’s! I’m always impressed with the quality (and quantity!) 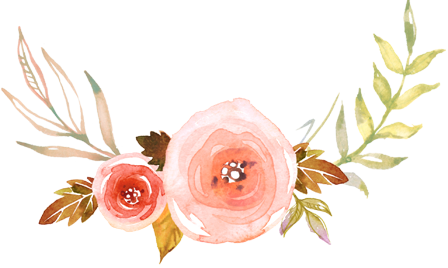 of the selection…and their new spring line is beyond adorable! Doesn’t Hudson look dreamy in his new Carter’s digs? And yes, the only way I can get him to stay sort of still is to stick him on my coffee table! The best part is that EVERYTHING I bought was on sale!!!! 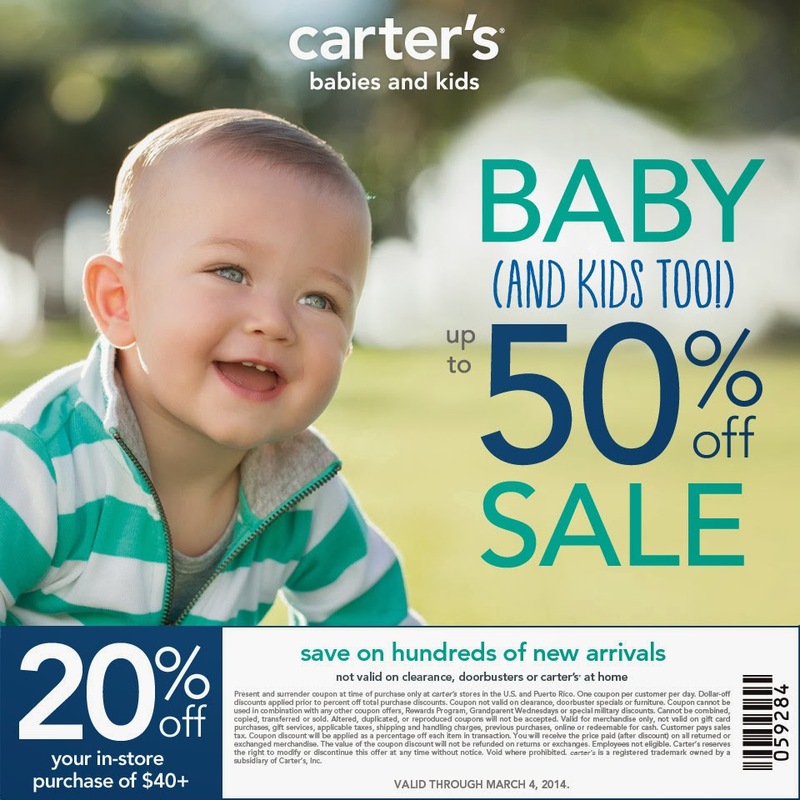 Carter’s Baby and Kid Up to 50% Off Sale runs now until March 4, 2014. Clothing items from Carter’s spring collection are up to 50% off in store, and the above coupon provides an extra 20% off your in-store purchase of $40 or more. Use Carter’s store locator to find a store near you! 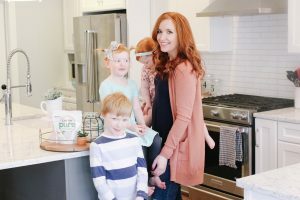 Want to win $50 to Carter’s? Enter below! *Thank you to Carter’s and The Motherhood for sponsoring this post and giveaway. We LOVE Carter’s and all opinions are my own. I love my daughter retro red bathing suit. He's so darn cute!! I LOVE carters! My 3 year old daughter and 1 year old son are ALWAYS in something from that store. I saw they recently went up in sizes so my kids will be wearing them for a LONGGGG time now! Winning this gift card would mean alot. My dog was run over by a car and set us back about $3,000 🙁 . The gift card would help us buy some spring/summer clothes! 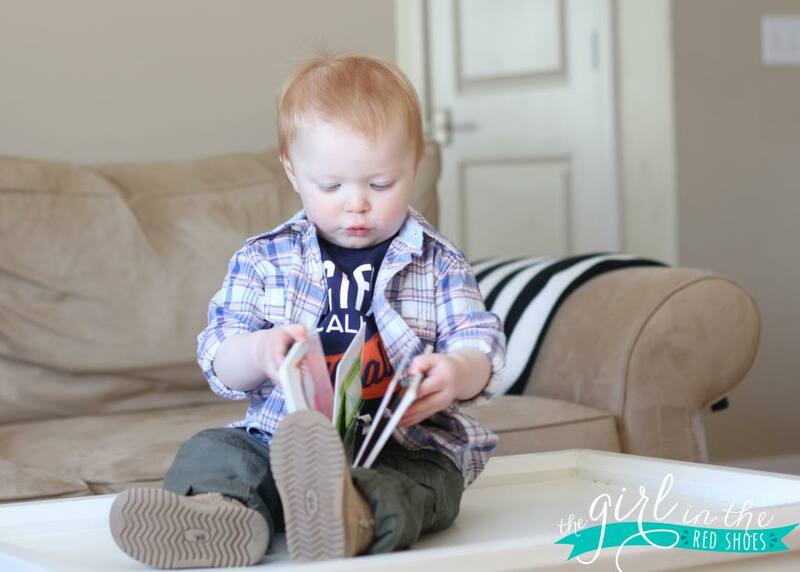 I have a red headed boy (8 months old) as well and I love putting him in overalls! I love Carters. 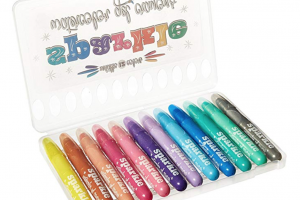 They have awesome quality and such cute designs!! Def would be buying some spring and summer clothes!!! brilliant. i never thought to put kaye on something to keep her still. i'll try this for our next photo sesh. girlfriend is a blurred mess in pretty much every shot. 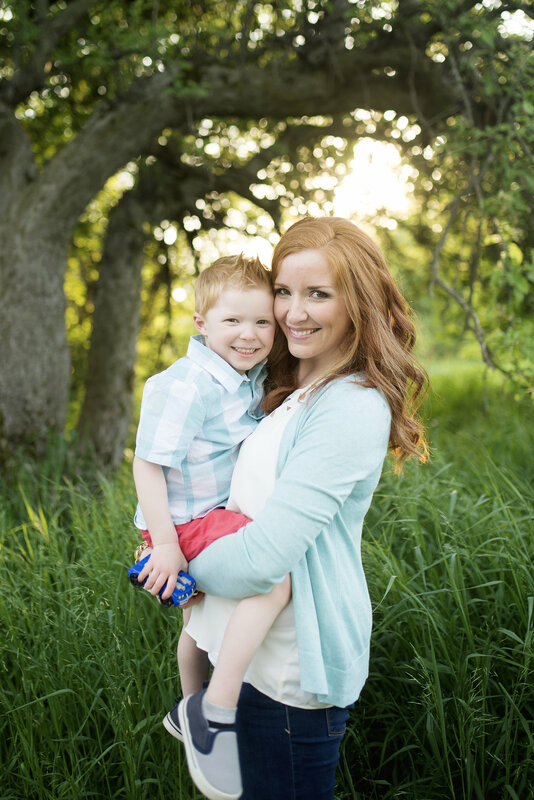 I also have a red-headed little boy!! We love Carter's for cute, comfy clothes!! Coffee table photo sesh! Too funny and too cute! Hudson is so precious! We are expecting a second sweet little girl in July, so it'd be awesome to get her some new clothes (and Carter's is our favorite 🙂 )! We love Carter's! I can't wait to buy a swimsuit! I LOVE dressing my little man (15 months) more than I ever thought I could as well!! My favorite article of his clothing would have to be his new pair of swim trunks for this summer. Is there anything cuter than a baby big, round baby belly sticking out at the top?! I just love this little Gap shirt that my daughter has. Hudson is ADORABLE!! I love my sons boot leg jeans with a belt! He looks so manly with his belt on! He is so adorable!! Carter's is my favorite baby and kids clothing store. They have such a great selection of the cutest clothes and they are always having a sale!! 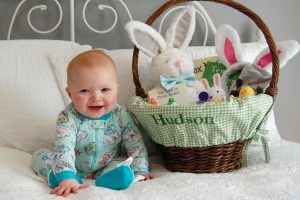 Hudson is so stinking adorable! My favorite article of clothing of my son's are his sweet little Tom's. His chubby feet looks so cute in them! Sarah Sterling has a khaki sherpa vest from carters that I adore. I will be sad when she outgrows it! We are big Carter's fans at our house too! Mac has these Carter's pajama jeans that just crack me up. They're adorable and he loves them! Your little guy is such a cutie! We are big fans of Carters over here. I love their styles and it's pretty much the only brand of children's clothing I buy! I love a pink and Navy Oshkosh striped dress my daughter has. Love this! Hilarious that you have to put him on the coffee table to pose. Haha! My favorite items of Kennedy's are her christening dress and the dress she wore as flower girl in my sister's wedding! Carter's is our staple for staples…hehe! I always love Cam's vests…they make him look so grown up and a bit outdoorsy…I just adore them! Love Carter's!! And now I have a boy and teeny baby girl to shop for!! I don't know if I can pick just one favorite! My favorite new item is her "big girl" pajamas from Old Navy. It's SO weird and SO adorable to see her in 2 piece pjs instead of her sleepers! Boy clothes have come along way! I love shopping at Carters for my son. I love Carter's clothes and I have a little boy coming that I need to clothe. Shorts…love seeing his lil' chubby legs sticking out!!! I love my little girls dresses worn with leggings…so cute on her chubby baby legs! And I love a little muscle shirt someone gave our little boy…with his faux-hawk hair (all around has fallen out just leaving the top) he looks like the cutest tough little dude! And I love Carters clothes! $50 would go so far there! I love to dress my 11 week old son up in button shirts. I pop the collar and cuff the sleeves- super cute!!! I LOVE Carter's spring line, especially the pastel shorts. The clothes fit so well and are so durable! I love Carter's. I actually just recently found it. I found the cutest sweatshirt dress there the other day and fuzzy snuggle jacket for my oldest. I am love. I love Carter's Jammies for my kids. I am also loving all their aunt/uncle stuff right now b/c my sister's pregnant. Dressing a baby boy is definitely more fun than I thought it would be! I love how affordable Carter's clothes are, since little boys are so hard on their clothes and grow so darn fast! Little baby jackets are too cute!! I love the little snug fitting footie pjs. My heart is a little puddle on the floor every time my son wears them. We have some dresses that my mom made for my daughter. I love seeing her wear them! We LOVE Carter's for our little man. They have the best and cutest clothes. I love Carters! My little man is always styling one of their outfits! This would be great for our nugget due in August! Oh! And I believe it'll be cute shoes and graphic tees! A gray button down shirt with sheep on it. I love Carters and that it is a brand that has been around since I was a child. My daughter's favorite piece of clothing is her coat because it means she gets to go outside! Those orange pants are awesome!! With a baby on the way, i would love to win this! I have a little boy who just turned one and I love being a boy mom way more than I thought I would as well! I come from a family of all girls so boys were foreign to me but I love how they play and getting to dress them as well. Carters has been my go to store. They have cute and durable clothes and a wide variety of styles to pick from! 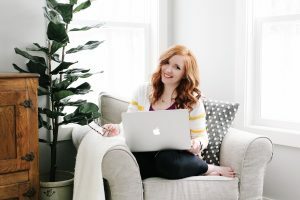 The thought of having a boy scares me a little, but your blog makes me excited about the possibility of Baby #2 being a little guy! I love putting my little guy in jeans and a shirt with a few buttons at the top. Makes him look so grown up. I just found out that I am having a baby GIRL!! So I would love this! We're big fans of Carter's too! Their styles are always cute and they wear wonderfully! We LOVE Carter's! I LOVE their onesies, and sleep and plays. My twins wear them all the time! I LOVE Carter's. Their clothes are perfect for my tall & skinny boy. I think my favorite item of clothing right now are his new puppy dog PJs – from Carter's of course! I just got Callie this new shirt from and it has cats and number on it… she loves saying cat and counting them! Learning and cute? Total win! Carter's always surprises me! They have really great clothes. I love dressing Owen in anything that looks like something his daddy would wear. My 1 yr olds fox hoodie is my favorite right now! I'd have to say his plaid button up shirt! I love my sons Carters camo print pants! Love Carters! My favorite item of my daughters is a vintage wash denim jacket…so cute! I love the little plaid shoes! I love carters dresses, they are so cute! I love my daughter's rompers! I love my daughters pink sparkle Toms! My favorite items are her gold bow baby moccs!! My favorite is his romper with an aquatic theme. I am expecting but don't have any clothes for the little guy yet. But I can't wait to find a favorite. So cute!! I love Carters, but I don't get there as often as I would like! My favorite article of clothing for my baby would be her new Cinderella sleeper that I just got her, it is adorable!! LOVE Carter's! Especially their jammies! My favorite piece of clothing for my son these days are his new Converse shoes! Too cute! Are shoes even pieces of clothing? Ha! I have a little girl & I absolutely love her in leggings! Eek! I don't have any children (to clothe) yet…but I do have one on the way, and I cannot wait to get my hands on some adorable clothing for this precious little one! Oh I love his shark slipons he had last summer! Everyone always complimented on them! They dont fit anymore, but he would love Carter's Whale sandals for this year! Baby boy is due in June and so far my favorite outfit is one with little baby jeans and a top that says Happy Camper! My 19-month old has these awesomely comfortable waffle pants in 3 colors. The best! I love the big sister clothing for my daughter! I absolutely LOVE Carter's! I would say at least 50-75% of my kiddos closets are from Carter's:)! And every.single.time we do family pictures that is my "go to" store;)! Love everything right down to the accessories:)! Would love to win this:)! I tried commenting on your Friday post but it won't let me! Love Mr. Hudson, he's such a model! Can't wait for the Lucky link-up, whohoooo!!! I love Carter's! They have the best PJs!! I would love to buy new spring and summer clothes for my little guy. I love carters. Their boy spring line is great! I love oliver in jeans. Love the button ups and pjs for my son! With 3 boys and 1 girl in the house, I just love all of my daughter's dresses. My favorite is a coral and white striped seersucker dress. It's such as simple, breezy beach style. I love the PJs, even my kids know to ask if their jammies are Carters! I love Carter's. I love all their play clothes. I love a sweater vest that my mom knitted herself for my little boy. 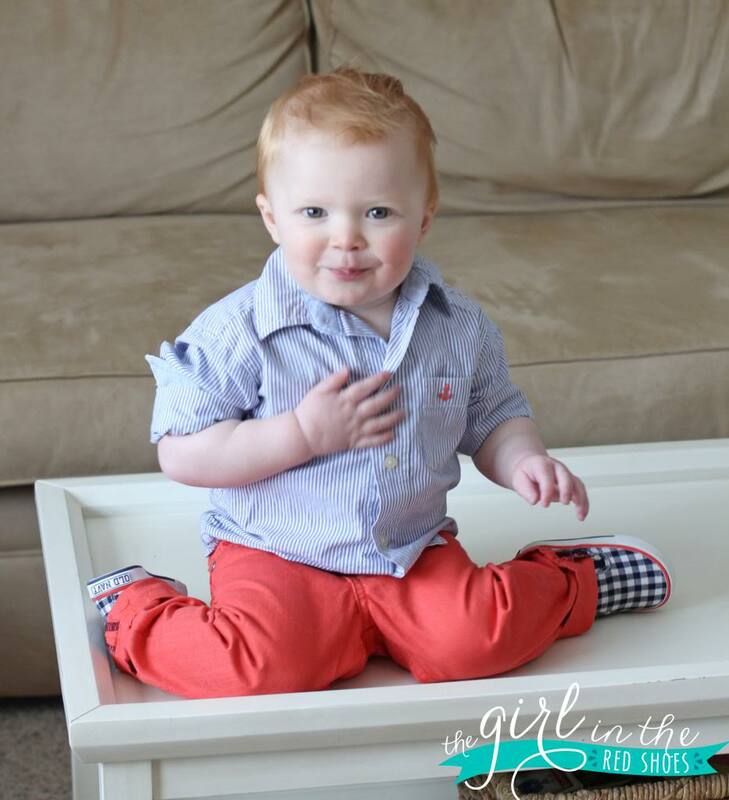 Hudson is the most stylish little boy! I love seeing photos of him for styling inspiration. I love my son's plaid buttom up shirt. He looks so handsome in it. We love Carters Jammies! They are the best!!! I love his monster bodysuit from Carter's. with a baby boy on the way this would be perfect! Almost everything we have is from Carters! My favorite is probably a pair of 3M PJs that are too small now (boo hoo!). They are navy blue with little orange crabs all over them. I looked everywhere for another pair in bigger size but no luck. They are now in the "save" box with a bunch of his other stuff. I absolutely love the three piece outfits that Carter's puts together. There are so many difference ways to mix and match three pieces of clothing – love it! I love my baby girl in jegings! I love dressing my almost 4 month old son in Carters! Right now it is mainly warm winter onesies but I just bought some shirt/short outfits for summer! Too cute. I agree 100% that dressing a boy is more fun than I was expecting. My favorite is my oldest son's jacket, its such an adorable style! I love my daugther's floral jeans! I wish they came in my size! I like my son's Red Sox shirt! My favorite is my daughers overalls…They are just too cute! Thank you for the wonderful giveaway.